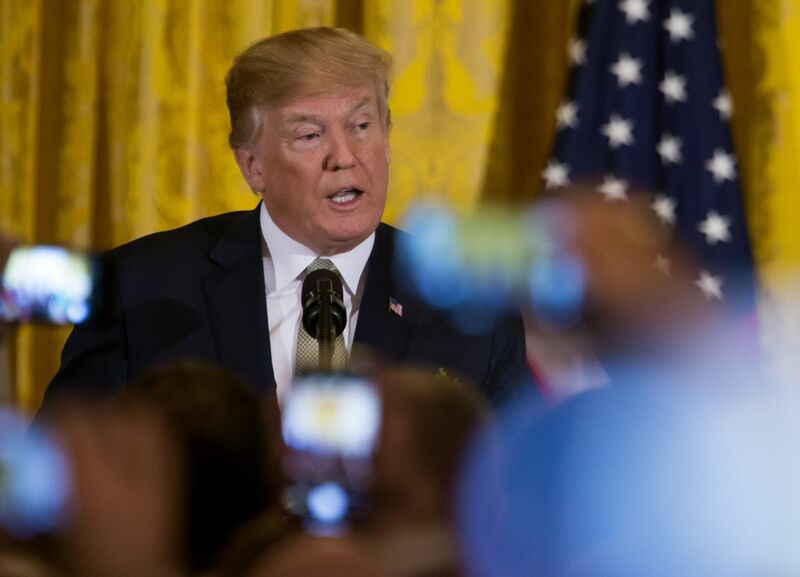 President Donald Trump used the annual presidential statement marking the Persian holiday of Nowruz to criticize Iran’s government and military leaders with sharp-tongued language rarely before seen in a celebratory presidential message. “The history of Nowruz is rooted in Iran, where for millennia a proud nation has overcome great challenges by the strength of its culture and the resilience of its people,” Trump said in a statement released Monday. “Today, the Iranian people face another challenge: rulers who serve themselves instead of serving the people. ” In the message marking the start of the spring New Year’s festival, Trump said he was announcing that the Treasury Department would issue guidance “reaffirming America’s support for the free flow of information to the citizens of Iran” and that the U.
would hold the regime accountable for cyber-attacks abroad. Treasury Secretary Steven Mnuchin later issued a separate statement underscoring that commitment. Nowruz, which means "new day" in Persian, has its origins in the ancient religion of Zoroastrianism and is also celebrated in Afghanistan, Turkey, India and other countries. Trump specifically attacked Iran’s Islamic Revolutionary Guard Corps, saying it had engaged in corruption and mismanagement of the Iranian economy. "Twenty-five centuries ago, Darius the Great asked God to protect Iran from three dangers: hostile armies, drought, and falsehood," the president said in the statement. "Today, the Iranian regime’s Islamic Revolutionary Guard Corps (IRGC) represents all three.
" Trump highlighted the high unemployment rate among Iranian youth and said “the average Iranian family is 15 percent poorer today than it was 10 years ago. ” “Ordinary Iranians struggle economically and find it difficult to celebrate holidays like Nowruz,” Trump said before adding: "may light prevail over darkness in this New Year and may the Iranian people enjoy a new day of peace, prosperity and joy.
" Sharp Departure Trump’s statement this year was a sharp departure from previous presidential statements marking Nowruz, which have largely sought to reach out to the Iranian people with messages of unity and support. In his own statement to the Iranian people last year, Trump said he was sending his “best wishes” to the Iranian people celebrating a “wonderful holiday. ” “For many years, I have greatly enjoyed wonderful friendships with Iranian-Americans, one of the most successful immigrant groups in our country’s contemporary history,” Trump said in his 2017 statement. Trump’s 2018 statement came after he fired Secretary of State Rex Tillerson, and amid continuing threats to pull out of the nuclear accord with Iran before May. Tillerson had supported remaining in the accord. Senator Bob Corker, a Tennessee Republican who leads the Foreign Relations Committee, said he believed Trump would pull the U. “Right now it doesn’t feel like it’s going to be extended,” Corker said Sunday on CBS’s “Face the Nation” program. On Tuesday, Trump will meet with Saudi Arabia’s Crown Prince Mohammed bin Salman at the White House to discuss further efforts to combat Iran. The State Department issued a milder Nowruz message on Monday night. Deputy Secretary of State John Sullivan offered his good wishes as people gather, "cooking, feasting, dancing, singing, and spending time with family and friends.
" Sullivan added that the U.
supports Iranians "seeking to reclaim their fundamental freedoms of expression, religion, and peaceful assembly.